McLaren established itself throughout the 1960s and 70s as a world-beating force in one of the most extreme forms of motorsport, Can-Am, winning five consecutive championships between 1967 and 1971. 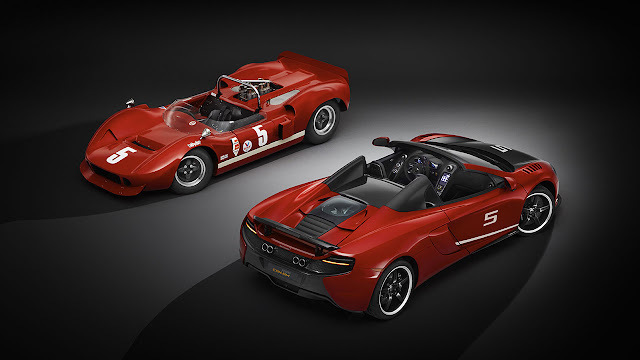 In honour of the 50th anniversary of the 1966 inaugural season, McLaren Special Operations (MSO) has created the limited production 650S Can-Am which takes its inspiration from the race cars of this golden age of motorsport. The 650S Can-Am can be commissioned now priced at £255,850 with deliveries set to commence in the spring of 2016, 50 years on from the first race at Mont Tremblant, Canada. 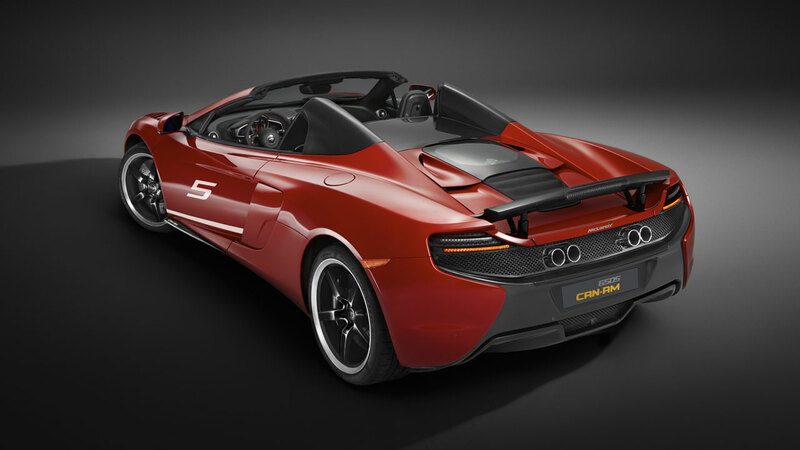 Just 50 examples will be produced globally, all based on the 650S Spider. 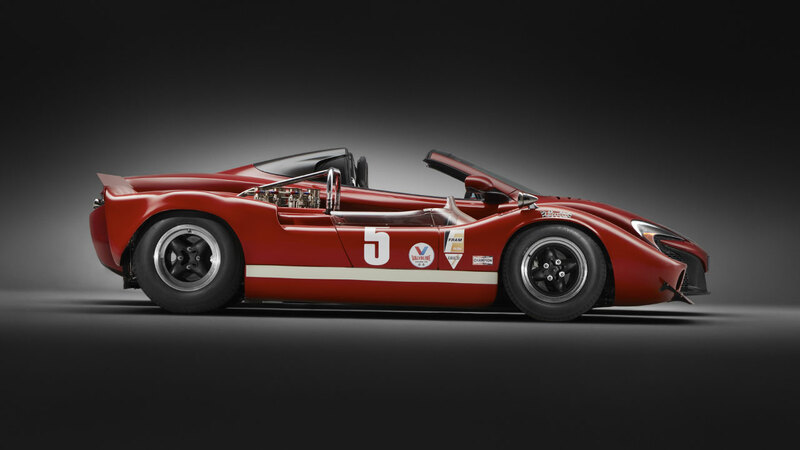 The Can-Am series, or Canadian-American Challenge Cup, was a no-holds-barred battle of power and speed around some of the most iconic circuits in North America and Canada. It attracted the best drivers of the time including Graham Hill, John Surtees, Jackie Stewart and, of course, Bruce McLaren. The championship started in 1966, only a year after Bruce McLaren Motor Racing was established and in the series that followed, the young Kiwi became one of most successful names in the sport. Key to the success of the McLaren Can-Am racers was the use of the latest technologies and materials. This principle is carried through to today’s 650S Can-Am. Where lightweight materials such as aluminium and mallite were used in the construction of yesterday’s racers, the modern-day celebration features extensive carbon fibre not least in the construction of its lightweight MonoCell chassis. A carbon fibre retractable hard top features for the first time while further carbon fibre is used for the bonnet, Airbrake, front splitter, rear bumper centre, door blades and 650S Can-Am branded sill cover. MSO has also created a unique set of lightweight forged alloy wheels inspired by those of the 1960s racers with a gloss-black finish on each of the five spokes and a diamond cut rim. Held in place by titanium bolts, the wheels are shod with Pirelli P Zero™ Corsa tyres. Carbon ceramic brakes with black painted callipers are standard equipment. Further unique features inspired by the iconic Can-Am racers include carbon fibre louvered front wings and a new quad-exit, polished stainless steel exhaust system. The louvres are designed to reduce pressure over the front wheels and increase downforce, while the four circular tailpipes at the rear of the car housed within a new visual carbon fibre rear grille echo the aggressive and purposeful throttle trumpets of the historic models. They also provide the 650S Can-Am with a unique soundtrack. Like the 650S Spider, this limited production model features the award-winning 3.8-litre twin turbo V8 which produces 650PS (641bhp) and 678Nm (500 lb ft) of torque. Performance and economy figures are just as exhilarating: zero to 62 mph (100 km/h) sprint takes a mere three seconds and its top speed is 204 mph (329 km/h). 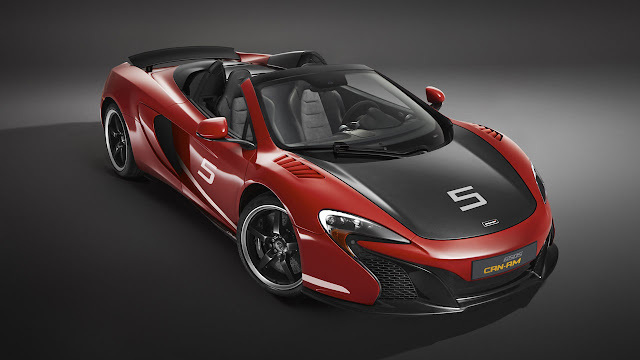 The 650S Can-Am is offered in three bold colours. The launch colour, Mars Red, is directly inspired by the M1B raced by Bruce McLaren and his teammate Chris Amon in the debut season. 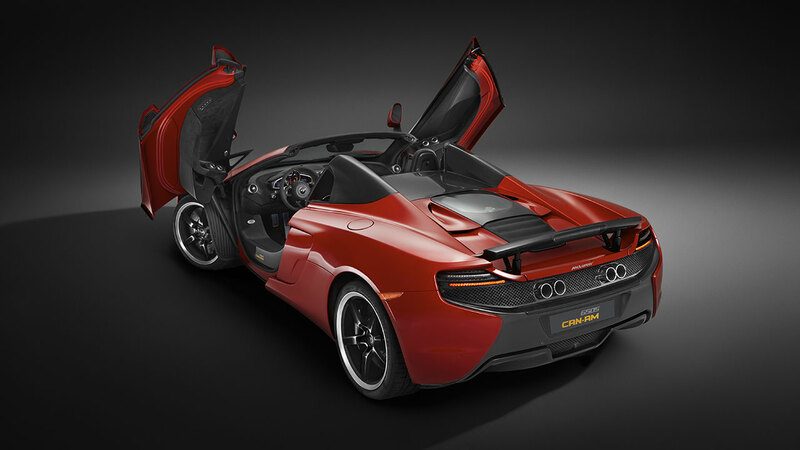 The second colour, Papaya Spark, is a modern and metallic take on the famous Can-Am racing McLaren Orange. The final option is Onyx Black which is similar to the base colour used by many of the McLaren customer teams in the later seasons. Each is additionally available with a corresponding racing livery to give an even closer visual association with the historic Can-Am series. Inside, the standard sports seats are upholstered with leather and Alcantara® which complement the exterior. 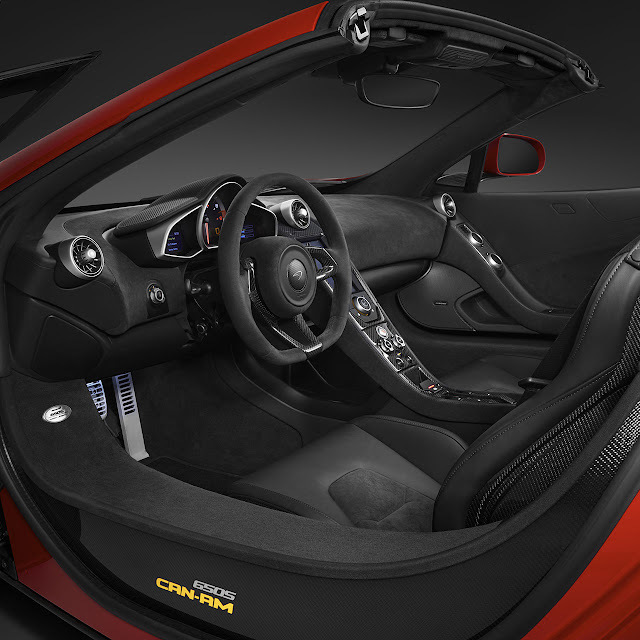 Carbon fibre naturally features extensively throughout the cabin while a further bespoke Can-Am touch is the unique dedication plaque on the driver’s door. 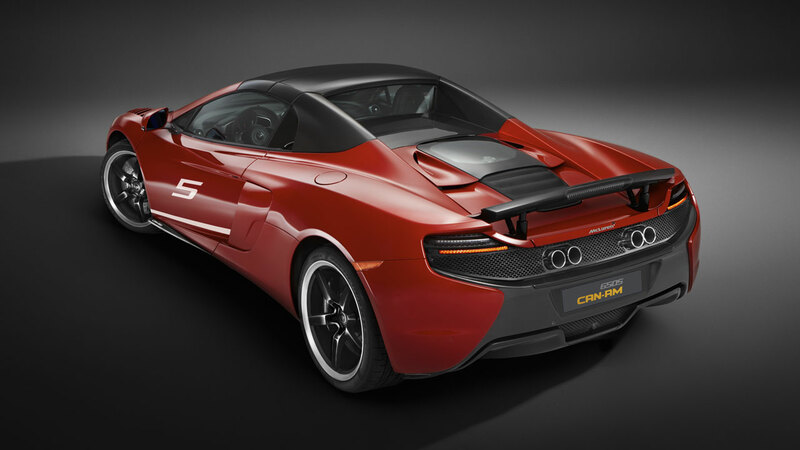 Commenting on the 650S Can-Am, Paul Mackenzie, Executive Director of McLaren Special Operations explains: ‘Can-Am racing is a major part of McLaren heritage, and this latest model from MSO pays homage to the cars and the racers who played a key role in making the championship such a spectacle during the 1960s and 70s. The championship was a true test of the engineering ability, driving talent and bravery of Bruce and his teammates, which led them to secure five consecutive championships.